Genuine Fiat 500L - Trekking | 500L - Estate Black Diamond-Finish 17" Alloy Rim Kit. The Fiat 500L 17" Two Tone in Anthracite Grey and Black Diamond Colour Alloy Wheels are a set of Four Genuine Fiat 500L Alloy Wheels. 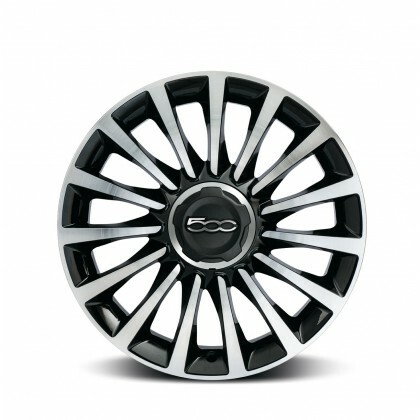 Add the finishing touch to your Fiat 500L with these eye catching 17" with 15 Spokes Fiat 500L Alloy Wheels. Please Note that to fit these Alloy Wheels are to be fitted with 225/45 R17 tyres and specific 500L Center Caps.